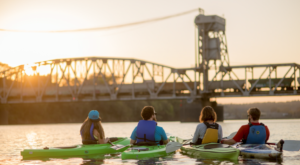 We’re intrigued by our past here in Arkansas. 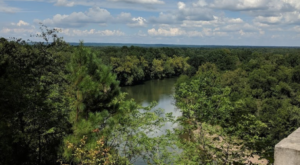 When photos from days long gone by surface, we enjoy studying the scenery and faces in the pictures and wonder what sort of life was lived in that era. These photographs, taken by various photographers in the 1930s, show a side of Arkansas that is based on hard work, agriculture and unbreakable spirit. This quaint little structure evokes memories of a difficult but simpler time. 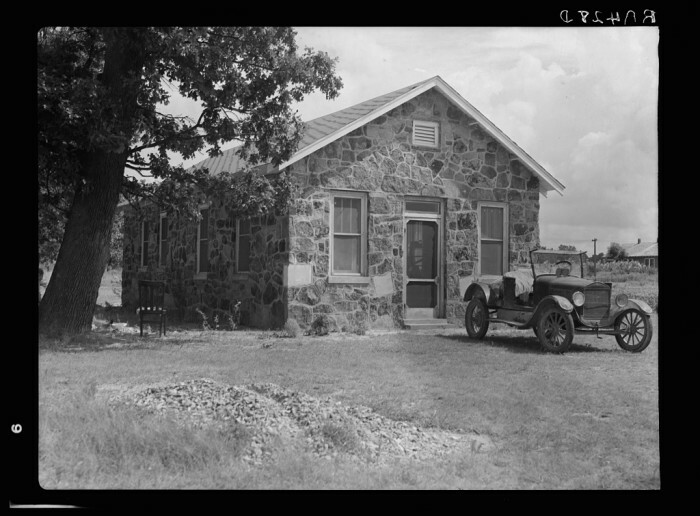 This photograph, taken by Arthur Rothstein in August 1935, shows the exterior of a canning kitchen in Pope County. 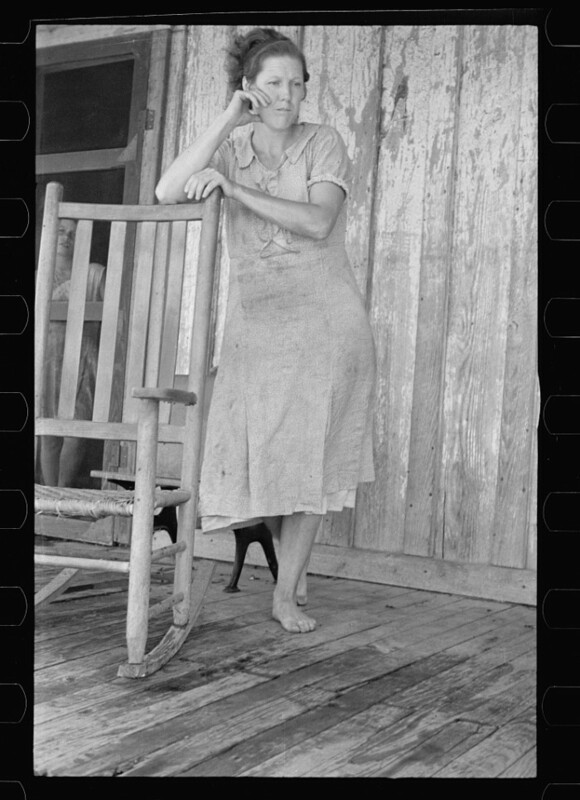 A barefoot sharecropper's wife was photographed by Arthur Rothstein in 1935 on the Stortz Cotton Plantation as she leaned in thought on a rocking chair. 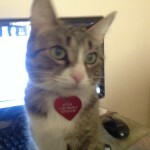 A young woman can be seen in the doorway behind the photo's subject. This photograph was taken on the Stortz Cotton Plantation in August 1935. Photographer Arthur Rothstein captured this group of farm workers having a break under a tree with their lunch pails. This is what Main Street of Jerome, Arkansas looked like in January 1939. 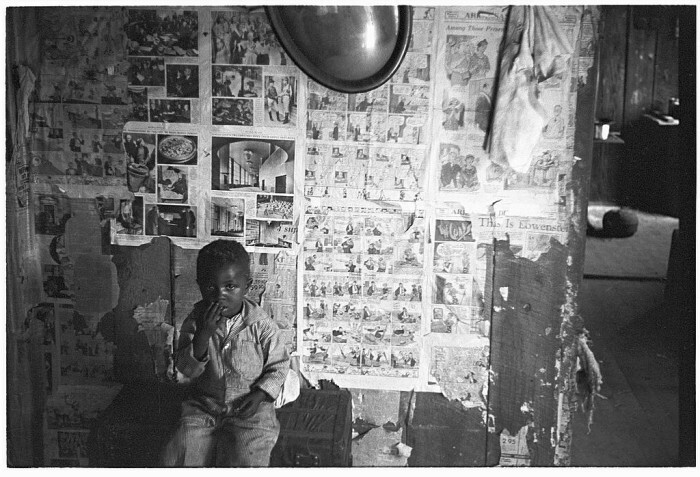 Russell Lee took this photograph among numerous others in Jerome during the late 1930s. Family members of a Pulaski County sharecropper gathered for this photograph taken by Ben Shahn in October 1935. 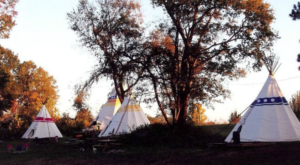 Multi-generational households were quite common among both poor and wealthy families who sought to look after both the oldest and youngest of relatives. 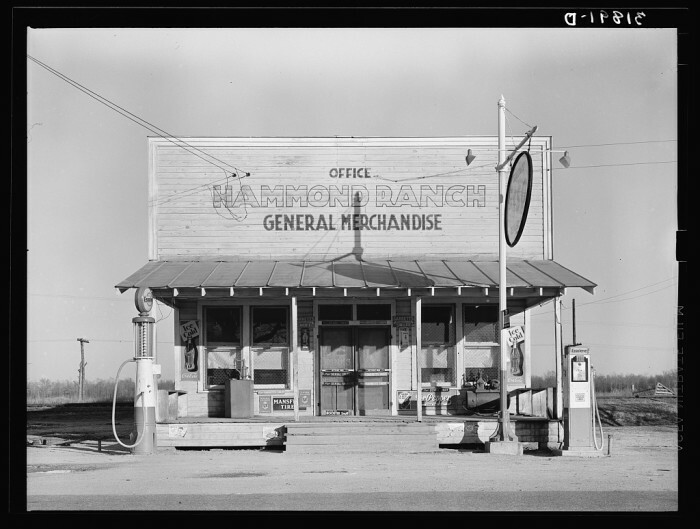 This photograph of the Hammon Ranch General Store was taken in January 1939 by Russell Lee. 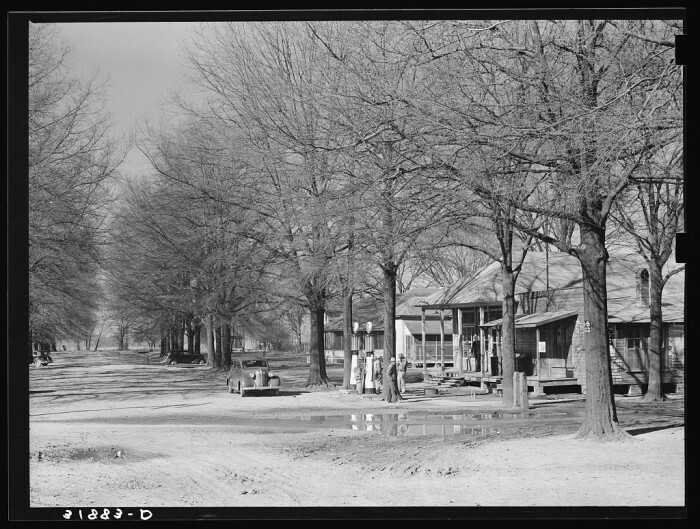 Located in Chicot, Arkansas, the general store was leased by the Farm Security Administration. This farmer sold ice in an ambitious attempt to bring in extra income during the hard times in August 1935. This photograph taken by Arthur Rothstein shows the farmer with a look of both pride and determination as he stands by his business venture. 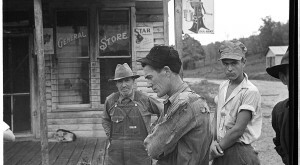 The dire straits of this Pulaski County farm was captured on film in October 1935 by Ben Shahn. 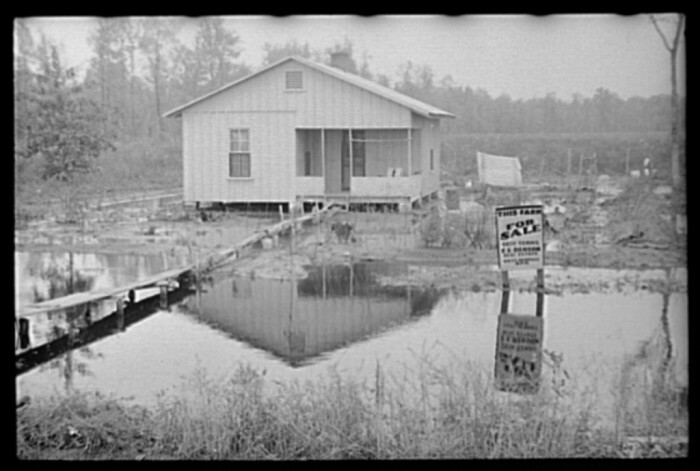 With a "For Sale" sign prominently displayed on a flooded lot, one might wonder how long it took to move this property. 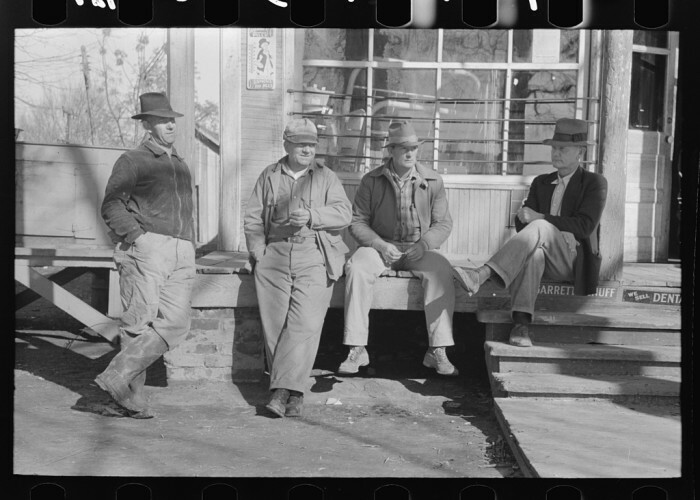 The men are relaxing outside this general store in Jerome, Arkansas, and Russell Lee was there to capture it on camera. Taken in January 1939, this photograph shows one of the few moments of repose for the working men in those days. 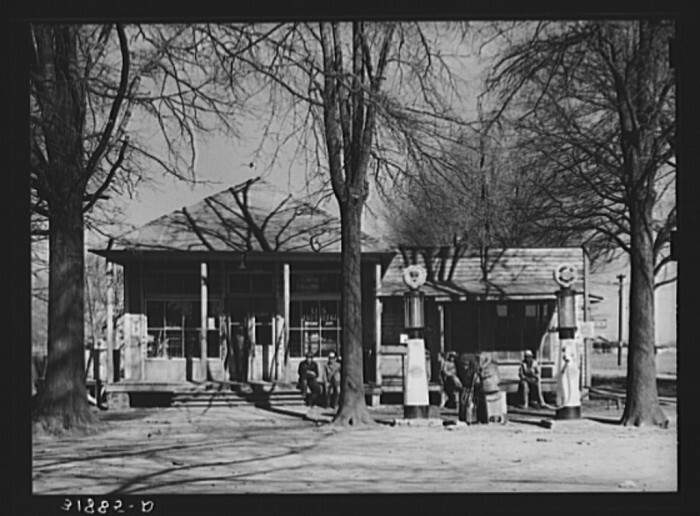 Photographer Russell Lee took this photograph of a Jefferson County general store in September 1938. 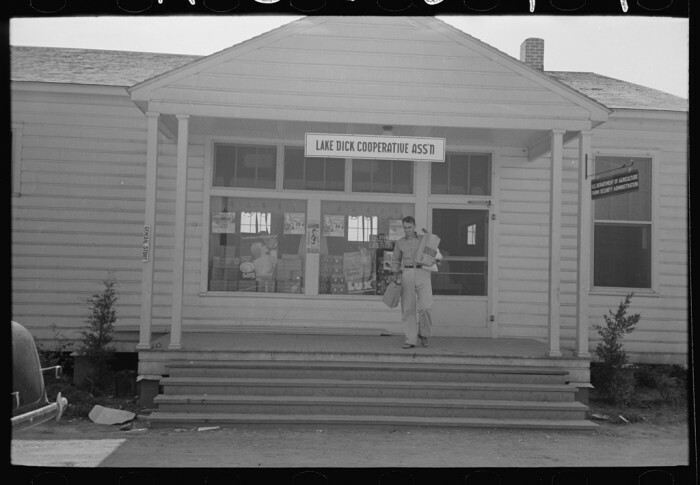 Considered a staple of communities, these stores were a great assistance to Arkansas farmers and other residents. 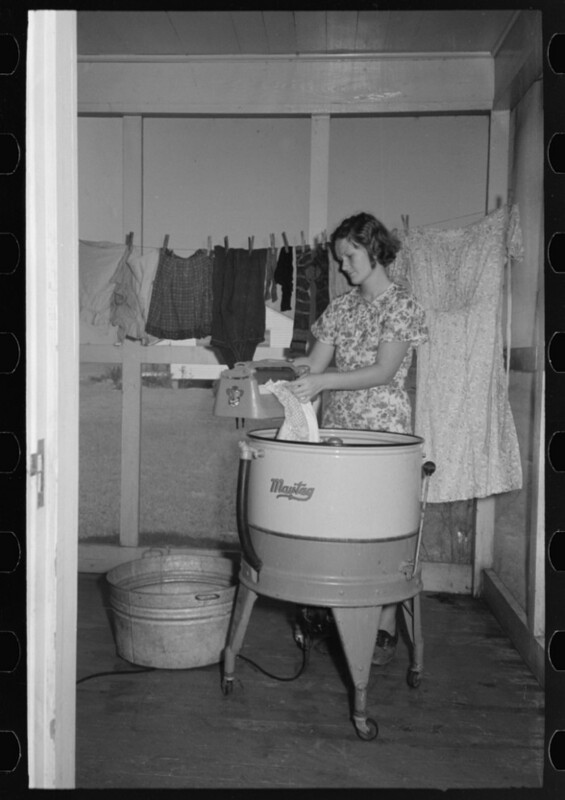 This Jefferson County wife was photographed as she was washing clothes in September 1938. 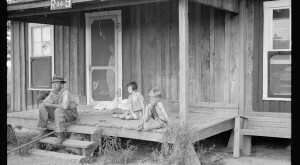 Photographer Russell Lee did a great job of portraying the everyday life of Arkansas women during the Great Depression. 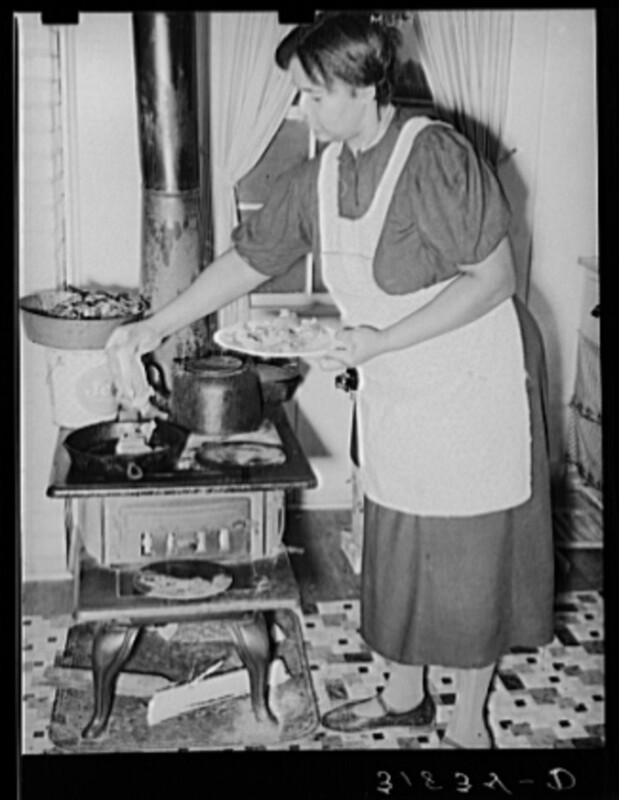 This photograph of a Lakeview, Arkansas farmer's wife preparing a meal at the kitchen stove was taken by Russell Lee in December 1938. 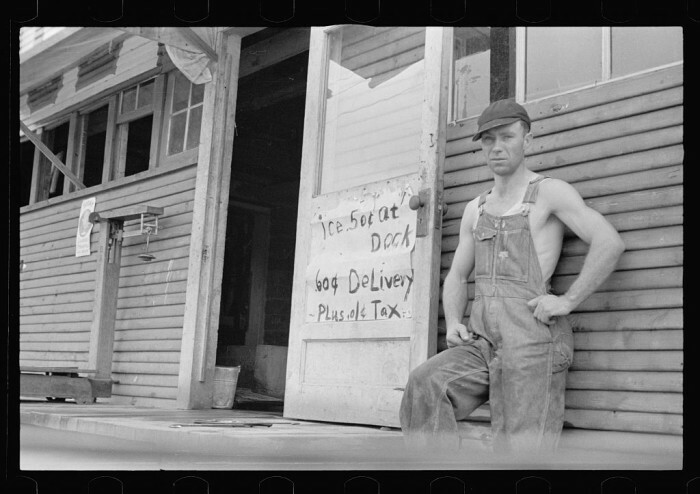 This Little Rock farmer was photographed by Ben Shahn while checking in cotton in October 1935. 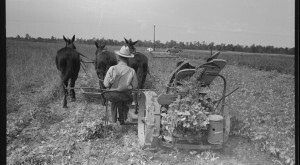 Agriculture was by and large the only way many Arkansans could exist in those hard times. 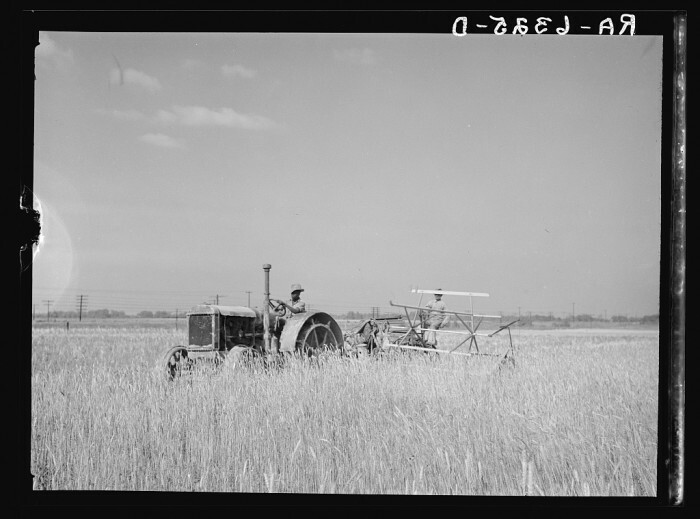 Photographer Carl Mydans captured this farmer on film near Little Rock as the farmer was in the middle of harvesting fall wheat in June 1936. 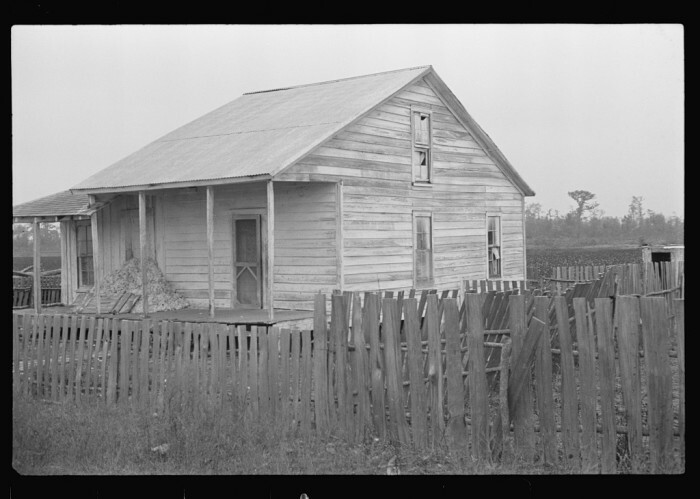 Ben Shahn took this October 1935 photograph of a sharecropper's Pulaski County home. The field in the background exhibits the vastness of where the residents worked and made their living. 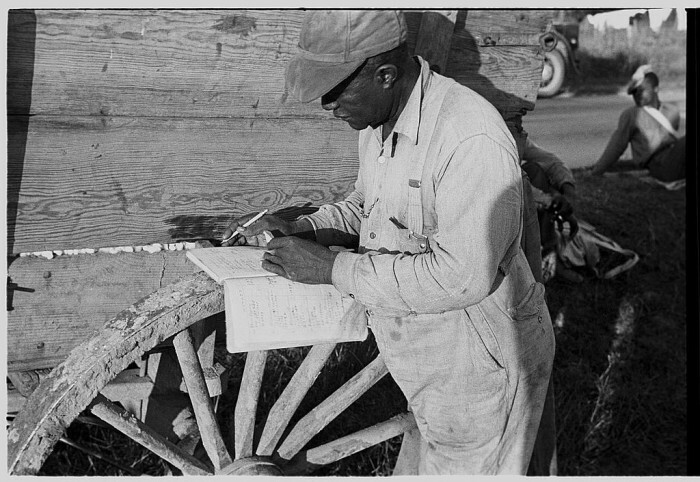 This photograph of a Jefferson County farmer holding a cotton scale and gazing out at the land was taken in September 1938 by Russell Lee. This photograph of a threshing mashine on the Case Plantation in Pulaski County was taken by Ben Shahn. 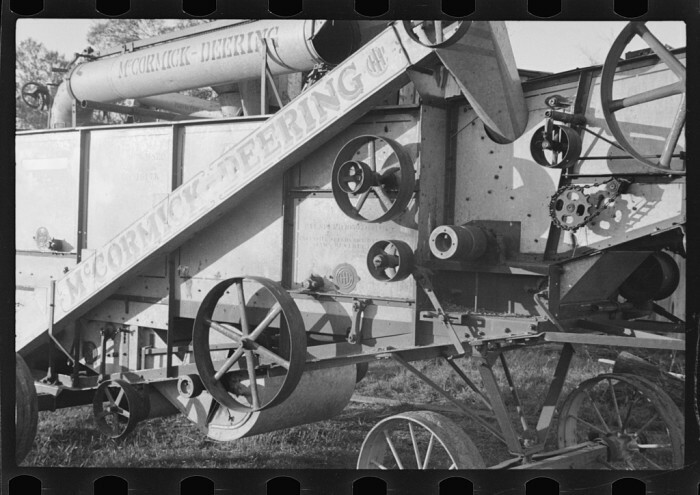 A picture dating back to October 1935, this is an excellent example on film of the agricultural technology available during the Great Depression. 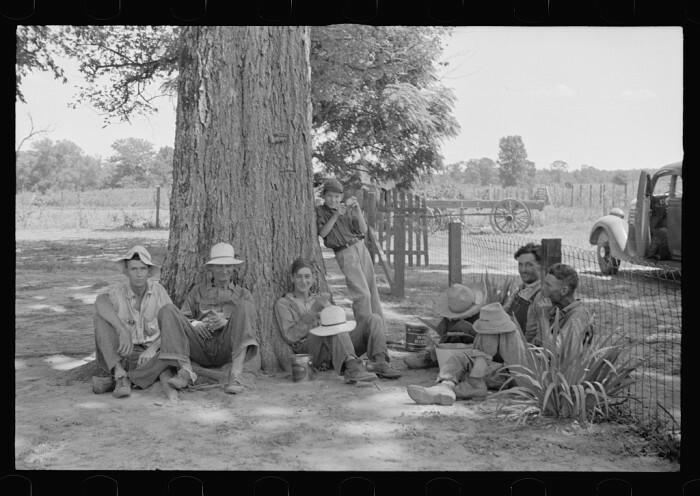 This group of farm workers in Pulaski County was photographed in October 1935 by Ben Shahn. 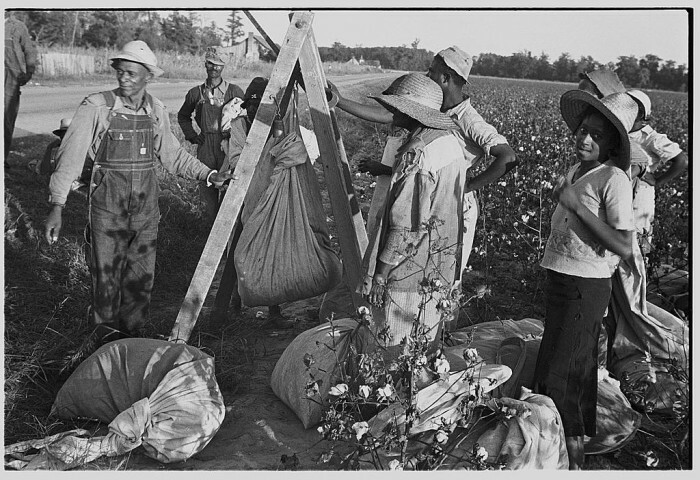 The workers are weighing in the haul of cotton they've picked for the day--a taxing task as seen by the heavy bags they've collected. Famed Great Depression photographer Dorothea Lange took this photograph in June 1938. 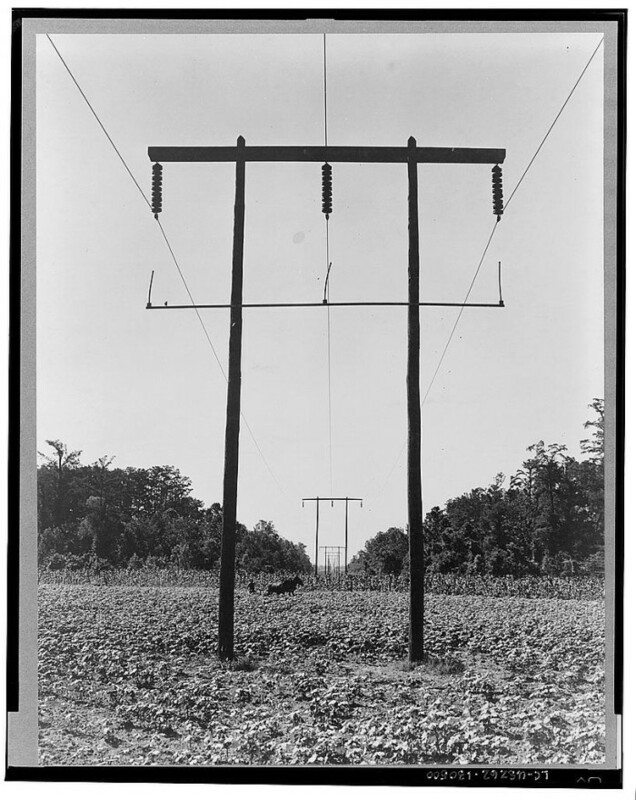 Electricity was still a novelty in many areas, so the electrification of Pulaski County was notable enough to capture in a photograph. 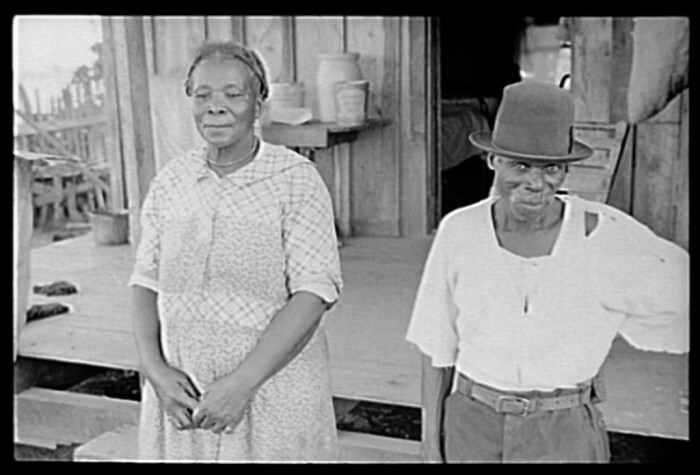 A Pulaski County sharecropper and his wife posed for this picture taken by Ben Shahn in October 1935. 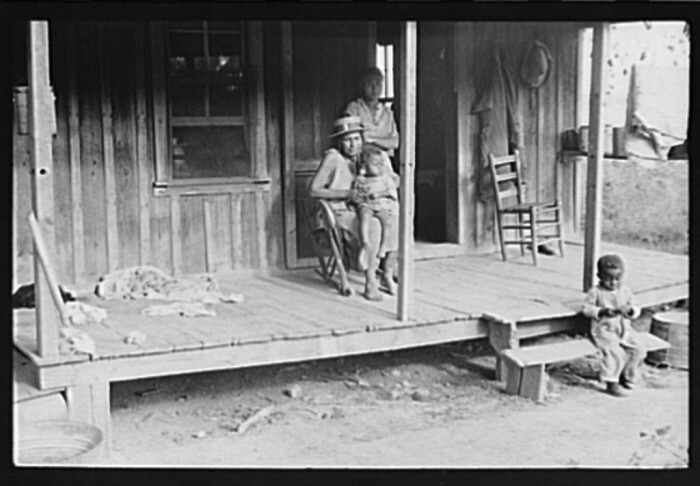 The humble homestead in the background is indicative of the hard life sharecroppers lived. 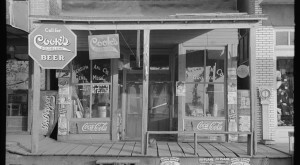 This general store also served as the post office of Jerome, Arkansas during the Great Depression. Russell Lee took this photograph in January 1939. This picture was taken in Little Rock by Ben Shahn in October 1935. A good example of what a tenant farmer's home looked like in those days, note the newspaper that was used to decorate the otherwise bland walls. 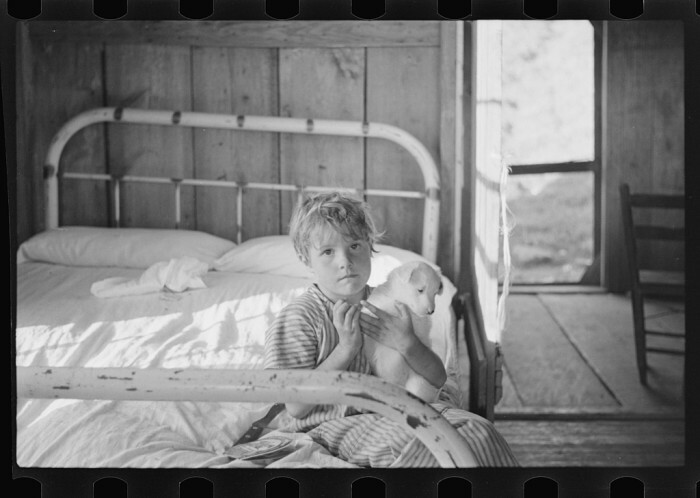 This photograph of a Pulaski County sharecropper's small child and his equally young and cute puppy friend was taken by Ben Shahn in September 1935. 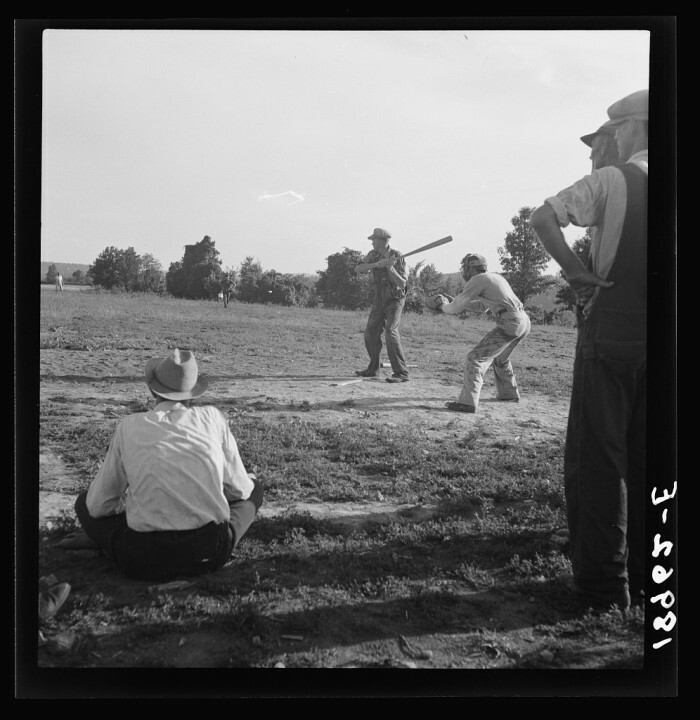 Famed photographer Dorothea Lange took this photograph in August 1938 of farmers from Mountain Home participating in a baseball game. 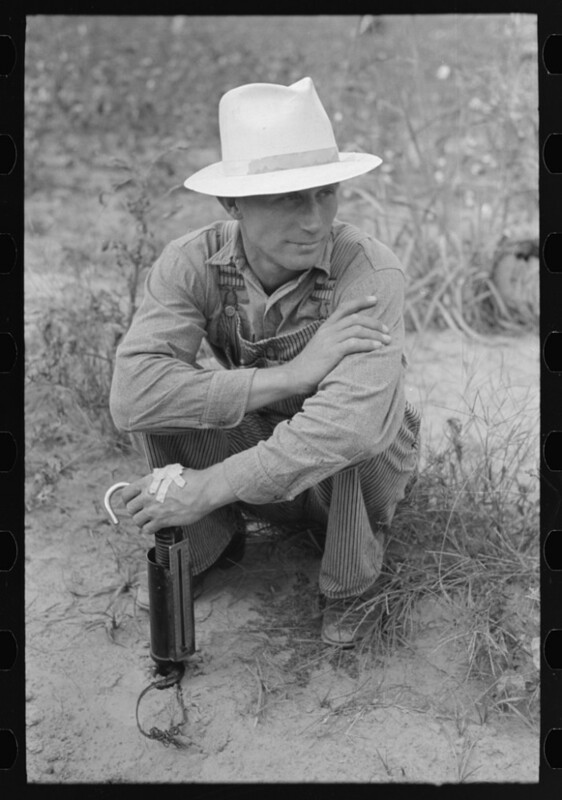 Not long after the photo was taken, many of the farmers left to find work in California. 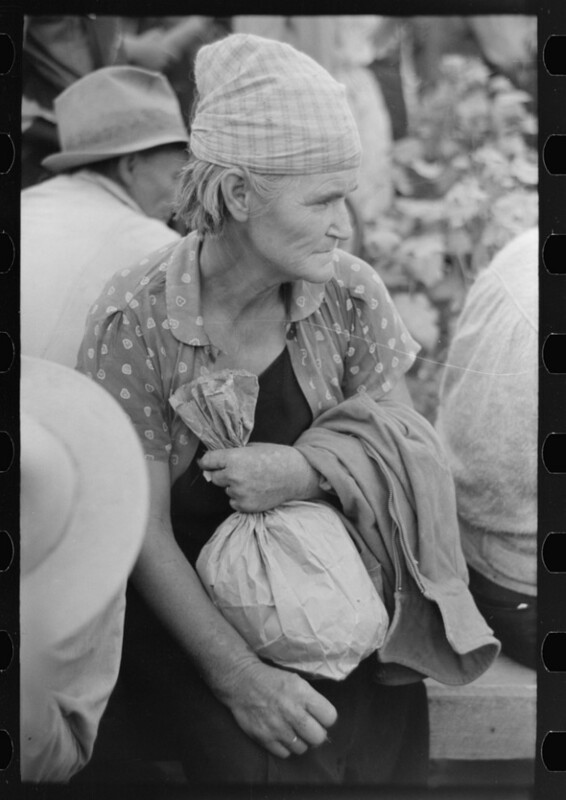 This female day laborer sits for this September 1938 photograph taken by Russell Lee. Likely sitting for a moment prior to beginning a long day of cotton picking, the subject looks wearied yet determined even in this moment of rest. 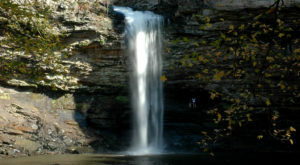 Which of these photos from the past catches your attention and imagination the most, Arkansas? How do you think you’d have fared in those difficult times? Share a comment about your feelings towards our rich heritage shown in these photographs. This Is What Arkansas Looked Like In 1935. Wow! What Every Small Town In Arkansas Had In The 1930s. It Was A Simpler Time.